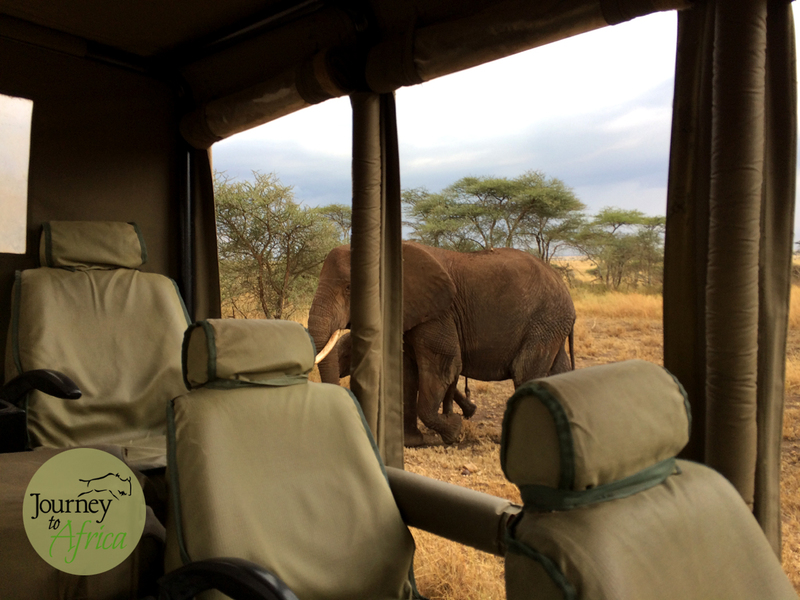 How close do you get to the wildlife on Safari? Close, really close. In fact sometimes they can get so close, you can smell them. And that can be a memory etched in your brain forever. In a good way of course, especially when you are away. You just have to be in the right place at the right time. When on my Safari to Serengeti, Ngorongoro Crater and Tarangire National Park this year, I was lucky to encounter a lion with her baby, 20+ lion family snacking on a wildebeest [taken with my iphone], lots of elephant families in both Serengeti and Tarangire, female impalas harems, rhino crossing close by and more. When we were driving out of the private area after my Serengeti Walking Safari, I even saw a cheetah with a baby cub walking right by our vehicle. Side note here – do not pack your camera as I missed this shot. Or maybe it was nice just enjoying the moment without taking pictures. Safari problems. My client Carlos M has had a cheetah jump on a Safari land cruiser close by when in Masai Mara. How close is that! 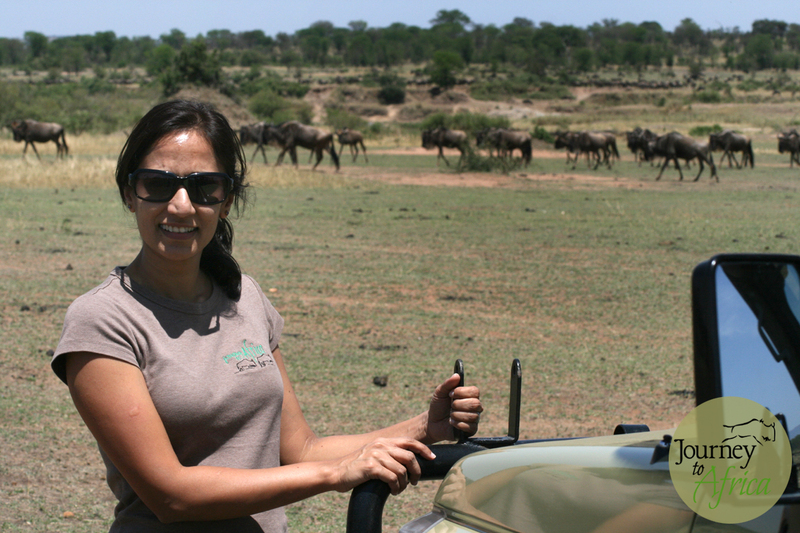 In Northern Serengeti, we were enjoying some coffee when a herd of wildebeest decided to gallop right past our vehicle. Coffee time with a view – very enjoyable. This entry was posted in Safari and tagged close, elephant, lion, ngorongoro, rhino, safari, save our elephants, save our rhinos, serengeti, tarangire, vehicle, wildebeest, wildlife. Bookmark the permalink.